← More hiring! Join the Red Hat desktop team and make a difference! 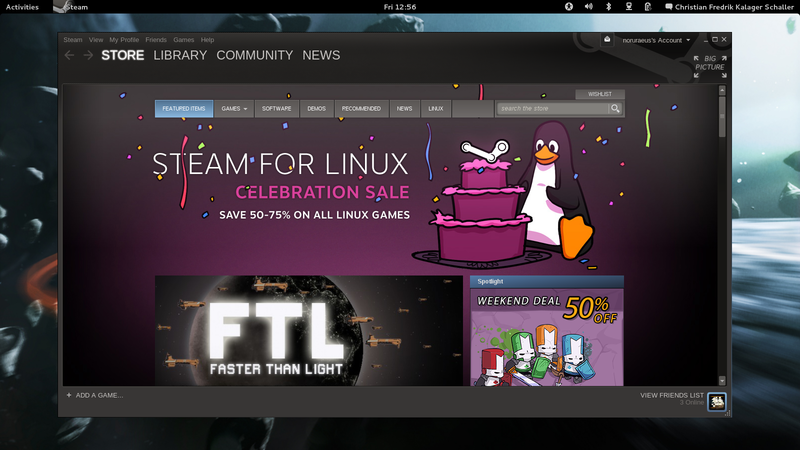 As you probably already know Steam is now available for Linux. While it is currently officially only available for Ubuntu you can run it on Fedora too. Tom ‘Spot’ Callaway has made this yum repository available. So just put the .repo file you find there into your ‘/etc/yum.repos.d/’ directory and you should be able to do ‘yum install steam’. I been running this repository through the beta period and the games I tried so far works great. Crusader Kings 2 is my clear favourite so far. It’s hard to believe that it’s happening. Thank you Valve.